Kate and Oli: Focus On... Mark Poulin And A Giveaway! Mark Poulin is a talented man. As his website says, "He combines his passion for metal work and eye for color into playful jewelry which has won him a loyal following across the country. All of his jewelry is cast from hand-carved wax models. Screenprinted images from his original sketches are kiln-fired onto three layers of vitreous enamels." Basically, he's my fave. I love to work. If I didn't have a partner, family and friends to pull me out of my workshop I could get sucked in for days on end. I'm obsessed with good design, and beautiful things. I am constantly striving to make something I am completely satisfied with. That never happens, or if it does it is such a fleeting moment.. I am then projected forward in the never ending (but happy) cycle of making things. I work with metal because it is the perfect vehicle for enamels. Enamels allow my love of color and my need to draw and doodle on everything a permanent outlet. I love both sides of etsy, buying and selling. I really appreciate being able to gift shop by key words. On the selling end I love the sense of community that etsy is still able to make us believe in... even though etsy has become so huge. I still feel like I am somehow important and a part of this little group of crafters. I am a proud member of the "Old Time Etsy Team." I'm inspired by DIY style of self published comics and zines. By pop culture. By shapes I see everywhere and in everything. By the cute little voices in my head. It changes all the time. This song just shuffled by at the gym, so I'm tripping on The Perishers this week. When it's cold outside... I make good soup. When I'm hungry... which is all the time.. I'm the snack master... lately that's rice crackers. When I need a boost... I go to the movies. I wish I was/were... oh, this could be a huge list. There is so much I want! Lets leave it at I wish I was better at singing and dancing...and squeeze in not so clutzy... and just also squeeze in I wish I was less shy and better spoken! If I could give one gift to everyone I know, it would be... Loving, supporting people to surround them. If you were an animal, what would you be? Something that flies but doesn't migrate. I'm kind of a homebody. I love this kitty on a clothesline right now. Head over to Mark Poulin's Etsy and tell me your favorite item! - Sign up for the Mark Poulin mailing list. Fine print: Giveaway begins when it is posted and ends at 11:59pm pacific standard timeJuly 16, 2010. A winner will be selected by a random number generator on July 17, 2010 and will be emailed promptly. Mark Poulin will ship anywhere in the world! I don't think I could choose just one favorite animal, that is why I really like Mark's Animal Charm Bracelet. Too cute for words!! This is a really really cute shop! Every item brings a smile, absolutely adorable! My favorite is the Animal Charm Bracelet, how cute can that be? I'm a gfc follower, thanks for the lovely giveaway. The Giraffe Kid Print is my favorite. It was so hard to decide on a favorite! I signed up for the Mark Poulin mailing list. I love the little sheep! But that's because I'm a knitter. I like the Night Owl Little Charm Earrings. so cute! Signed up for the Mark Poulin mailing list. All the jewelry is adorable, I couldn't pick just one, but I do really like the Sea Monster print. I'm following on google reader. The Little Duck necklace is awesome! It reminds me of the fact that one is very alone with a rubber duck. Great interview and giveaway. I enjoyed checking out his shop! I like the FOREVER Neclace a lot!! I signed up for Mark's mailing list. My fave is the .Rabbit wishes. charm necklace! Joined Mark Poulin mailing list. I follow and I love Tauruses are Bossy (in a cute way) necklace. Tauruses are Bossy ( in a cute way ) is my favorite item! i'm on kate and oli mailing list! i am a fan of kate and oli on facebook! The Aquarians are original necklace is my favorite! It's hard to pick out my favorite, because I'm really liking everything. One that I just love is the Animal Charm Bracelet! Little Planet Heart Necklace! So Cute! I love the Orbit boy. I love the originality in Mark's art! the little whale necklace is by far my fave! My favorite thing is the Tom-Tom necklace. It's so cute! I like the Rococo Reversible Necklace. I love cats! I love stars! I love hearts! I love pink! 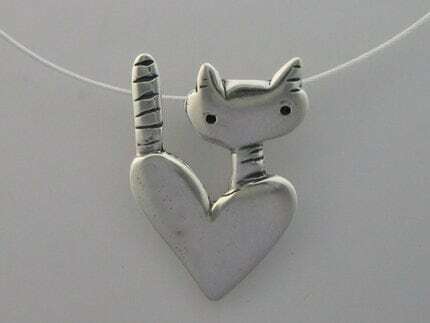 I love the little pocket cat necklace! So hard to choose! If I could only have one piece, I guess it would be the night owl ring... great work! Is really dificult choose only one, I ove everything, but when I see the blue puppy earrins I can see my own dog! Is fantastic!! I absolutely LOVE Orbit BOY! 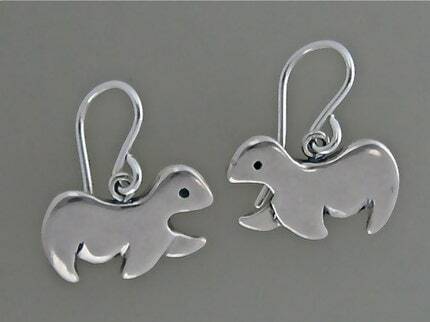 Oooh, drooling over these earrings! I am already a Kate and Oli fan on Facebook (as Deborah Davey). my favorite is the love bunny ring! i am on mark's mailing list! I love the Little Rabbit Necklace. I'm on mark's mailing list! My favorite is hedgie. What a cute little guy. I think the Fluffy Little Sheep is so cute! I am now subscribed to your mailing list. Subscribed to Mark Poulin's mailing dress. Subscribed to Kate and Oli mailing list. 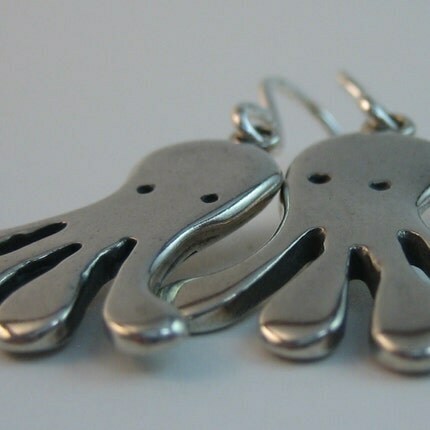 The Quadrapus Earrings are so cute! I am a follower, and I love the little dog necklace. Hard to pick a favorite but I think mine is Pocket Cat. 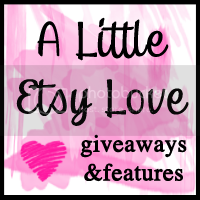 I just favorited it on Etsy and added your shop as one of my favorites. Great stuff! Yes I am a Public Follower and I added MarMar to my Etsy Favorites along with many of his designs/items! Subscribed to Mark's mailing list. (Already) Subscribed to Kate & Oli's mailing list. I'm a follower and I would love to win this!! Mark has been one of my "favs" on Etsy for a long, long time. 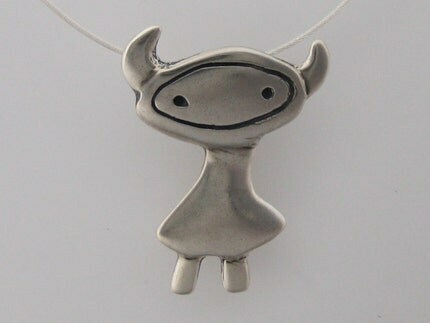 Of course, since I'm a Taurus, my favorite is the little Taurus fellow :) Thanks!!! Lovely seller! I'm following your blog. My favorite is the little dog necklace! I like you on facebook as Jenny Bolech! My favorite item is the Mother and Child Necklace Set. Owl. I love owls and these two are way cute! I'm a Facebook fan of Kate and Oli (Kelli Flanders Robinson). i like the Heart Striped earrings and the Happy Puppy pendant/ring. My favourite item is the Little Elephant necklace. how adorable! I love the Space Cat earrings. subscribed to Mark's email list.